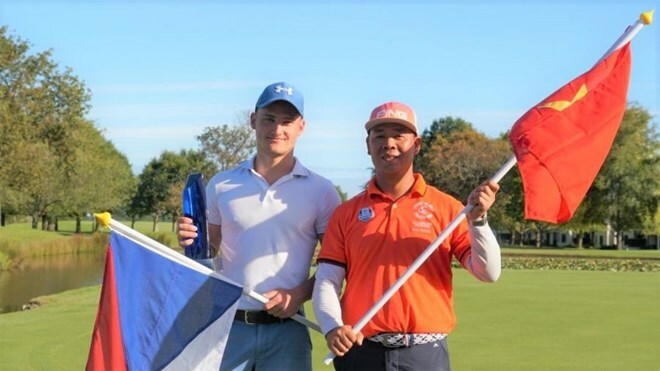 Hanoi (VNA) - Vietnamese golfer Nguyen Duc Ninh finished runner-up at the Volvo World Challenge 2019 in South Africa. Broda Lukás of the Czech Republic won the title. “I am very happy with second place at this professional event. It was an unexpected result,” said Ninh. Other Vietnamese representatives, Nguyen Duc Cuong and Nguyen Ba Ngoc ranked sixth and 14th. Vietnam sent six golfers, who won the Volvo World Golf Challenge Vietnam last month, to the event which concluded over the weekend.